The season of giving is upon us, and scammers are already finding ways to take advantage of it. To avoid wasting money and putting their personal information at risk, authorities are warning people to keep an eye out for the "secret sister gift exchange"—a chain letter scheme that's making the rounds on Facebook, USA Today reports. The scam presents itself as a secret Santa-type gift exchange. 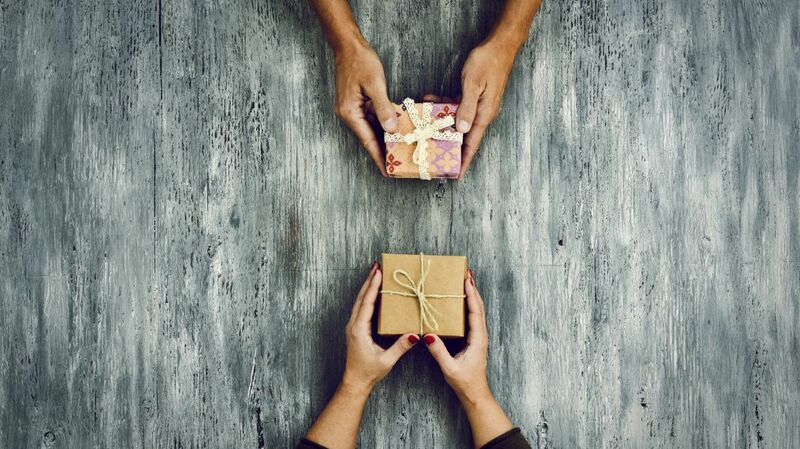 If six people agree to take part in the fun by sending a $10 gift to their "secret sister," the posts read, they will receive six to 36 gifts in return. The set-up sounds appealing, but it's actually just a spin on the classic pyramid scheme. The first person to share the post may get some free gifts, but most people who respond will mail out their items only to get little to nothing back. If the scam sounds familiar, that's because it's been circulating on Facebook around the holidays for at least the past four years. Many people haven't even started shopping for their own families for the holidays yet, but the secret sister gift exchange has already resurfaced for the 2019 season. This year, authorities are hoping more users will recognize it as a scam, with the Better Business Bureau warning consumers to use caution when signing up for online gift exchanges. The fact that it doesn't pay off isn't the only reason to avoid the scam. Whether they're shared through social media or by mail, pyramid schemes are illegal "if money or other items of value are requested with assurance of a sizeable return for those who participate," according to the BBB. The gift exchange could also lead to identity theft, with many posts asking for personal information such as your phone number and home address. No matter what time of year it is, you should always be mindful of scams when browsing email or social media. Here are some of the most common ones to look out for.